In the last post we discussed Braille wine labels. 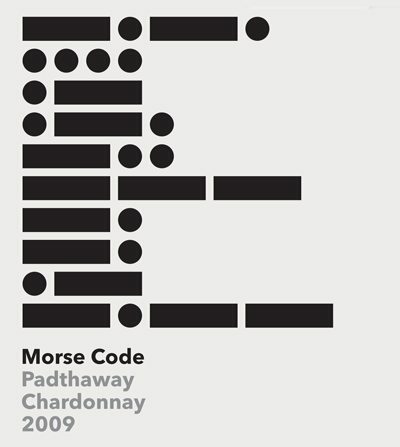 Today, Morse Code, as on this Australian wine label. Morse Code was invented in the 1840s and is an early form of the digital encoding so widespread today. As with many of the Braille labels, the Morse Code label here does not seem to explain the message embedded in the code. Does TTB require it? Should TTB require it? Finally, who can decode this? For the energetic, there is a decoder here. Chardonnay is the what the Morse code says.